Looking for a full-size, half-ton pickup truck for work and play? There is only one half-ton pickup that delivers the style, attitude and work-ready capability of a Ram truck, and that is the new Ram 1500. If you are near Crossville or Sparta, TN and want to explore the complete range of new Ram 1500 models, stop into Cumberland Chrysler showroom or shop here on our website. We have a strong selection of new Ram 1500 pickup trucks in Cookeville, TN, ready for you to explore. What better base engine to offer in the new Ram 1500 than the award-winning Pentastar V6? This dependable and potent six-cylinder engine generates an impressive 305 hp and 269 lb-ft of torque and delivers a max towing capability of 7,610 pounds. For even greater power and torque in your new Ram truck, consider the 5.7-liter HEMI V8, which can tow up to 10,650 lbs, thanks to its 395 hp and 410 lb-ft of torque. For maximum torque and fuel efficiency, check out the available 3.0-liter EcoDiesel V6; it is emissions-compliant in all 50 states and puts out a whopping 420 lb-ft of torque! Ram’s class-exclusive Torqueflite 8-speed automatic transmission offers smooth acceleration and durable use. The latest Ram 1500 light-duty pickups can be had in an array of trim levels and cab styles. Whether you opt for a value-priced Ram 1500 Tradesman or a luxuriously equipped Laramie Longhorn model, you will find standard features like a Uconnect system, Torqueflite 8-speed automatic transmission, a spray-in bed liner and a Class IV receiver hitch. Inside, optional features like an 8.4-inch Uconnect touchscreen with voice-activated Navigation, Keyless Enter ‘n Go, heated leather-trimmed seats and premium real wood accents make the new Ram 1500 one tough truck to follow. Drive the latest iteration of the Ram 1500 pickup truck today, at Cumberland Chrysler. Our Chrysler, Dodge, Jeep and Ram dealership in Cookeville, TN serves local drivers with not only new vehicle sales but also leasing and financing assistance, genuine OEM parts and a dedicated auto service center. 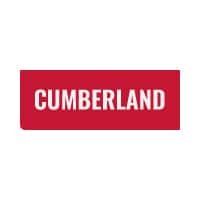 Visit Cumberland Chrysler for your new Ram truck at a great price!